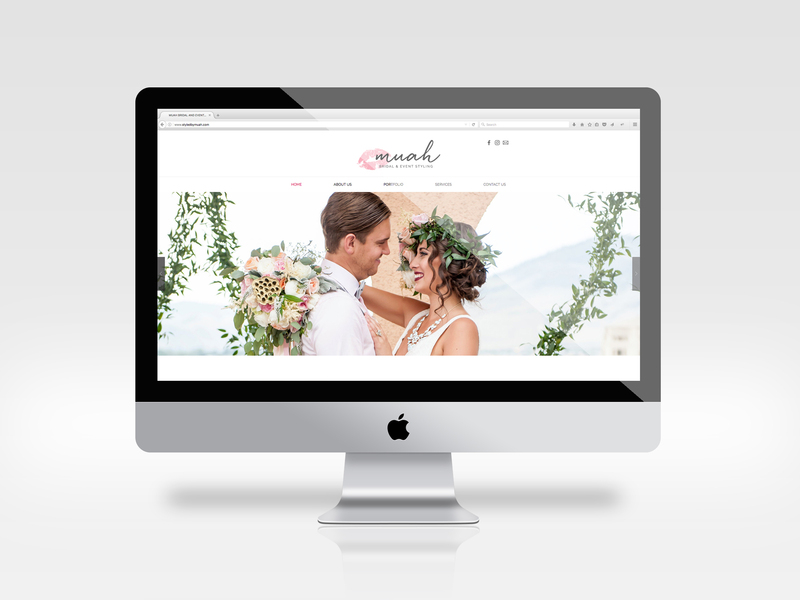 MUAH Bridal & Event Styling is an on-location team of hair and make-up artists located in Kamloops, BC. 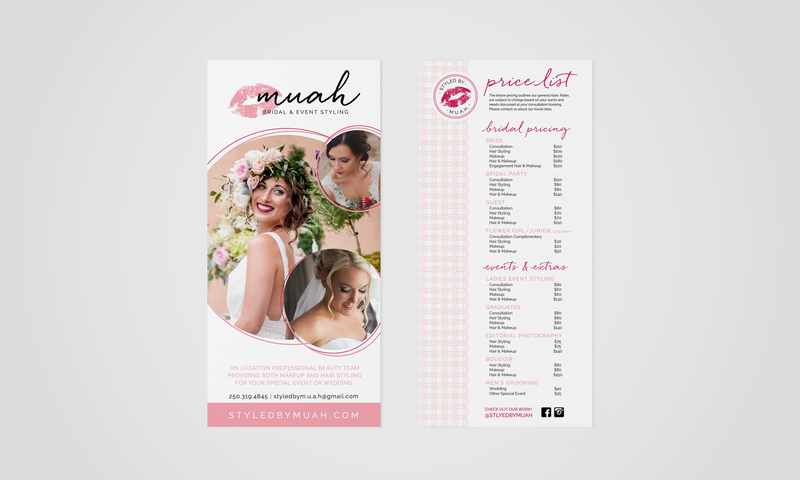 The ladies at MUAH came to me looking to re-fresh their exsiting logo to infuse a fun, feminine, and bold look to their brand. A hand written script font was selected for its free flowing artistic flair and complimented the contemporary san-serif well. Accents of blush pink gives the brand a feminie and soft quality, while the hot pink swatch conveys a modern and fun side. A lipstick kiss icon was only fitting for the logo and was used in the primary format, as well as the badge style icon seen on the company's social media platforms. Work included: the logo and brand, pull up banners, rack cards, business cards, styling contracts, and a website design (using the WIX platform).